Why is Udemy Called Udemy? In the U.S., mandatory education dates back to the 17th century, when Massachusetts became the first state to impose schooling regulations. It was the dawn of the nationwide system we know today, where children begin learning early and education is required for personal advancement. And while the curriculum may have evolved since then, the basic principles haven’t changed much. These days, professional success is almost certainly hinged upon higher and continued education. However, as with most things, traditional methods of education are being disrupted by technology. Connected mobile devices and internet access have quite literally begun to flip the classroom on its head, so students study lectures on their own time and use the classroom to practice through exercises. And in some corners of the world, where school systems aren’t as well-established, technology is enabling individuals to teach themselves. Udemy Co-founder Eren Bali is living proof of the new-age possibilities. Growing up in the small Turkish village of Durulova, his options for education were limited to a one-room school—at least until his family got a computer. Then he took it upon himself to learn chess and mathematics. More important, he saw it as an opportunity to bring online learning to others. In 2010, Bali, along with co-founders Oktay Caglar and Gagan Biyani, launched Udemy with a single purpose: to improve lives through accessible education. Though most of the courses are aimed at professional adults, it’s Udemy’s openness that separates it from other learning systems, like Udacity or Khan Academy. Through Udemy, experts of any kind – instead of just academics – can create courses for public consumption. Why is it called Udemy? But even if you begin your online education journey as a dummy, it won’t last long. Udemy courses, some available in as many as 60 languages and ranging in price from free to more than $250, are divided into sections, lectures, and even micro-lectures, making learning on your own time more manageable. A marketplace at heart, the cost of the course is a reflection of its perceived value, with categories that vary from business and academics to arts, fitness, and technology. As such, in the midst of what could be considered a stagnant educational system, Udemy is in course to make sure self-improvement is never more than one click away. 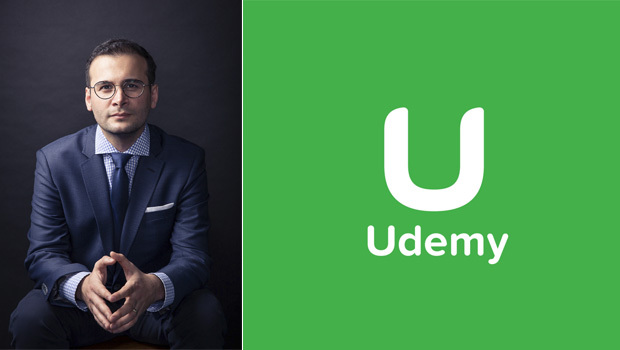 Thanks for reading Why is Udemy Called Udemy! Have you taught or taken a Udemy course? Tell us about your experience in the comments. #whyisitcalledudemy.